The 1960s is one of the greatest eras of the television industry. It was during this great age that American audiences were treated to what has since become some of the most memorable television series of all time over just three networks. ABC had Bewitched, Voyage to the Bottom of the Sea and Batman. NBC had Star Trek, Bonanza and Get Smart. CBS meanwhile was the real powerhouse, turning out The Andy Griffith Show, Gilligan’s Island, The Beverly Hillbillies and so many other major hit series. Thanks to a partnership between Paramount and CBS Home Video, many of those classic series have recently been released and re-issued on DVD and Blu-ray, either in part or in whole in recent years. Nearly 40 years after the series was canceled as part of what has since become known as “the rural purge,” fans of The Beverly Hillbillies finally started getting proper, official releases of that award-winning series with the release of the series’ second season. Almost five months after its release, Season Three got its first-ever official release. Seasons Four and One would follow in 2014 and 16 respectively, and now on Oct. 2, Season Five finally will make its DVD debut thanks to that partnership between CBS and Paramount. The fifth season of The Beverly Hillbillies is another enjoyable offering for audiences. That is due in part to the work of the series’ writers. This will be discussed shortly. The work of the series’ cast is just as notable as that of the show’s writers, and will be discussed a little bit later. The set’s average price rounds out its most important elements. Each element is important in its own way to the set’s presentation, as will be pointed out here. All things considered, they make The Beverly Hillbillies: The Official Fifth Season another welcome addition to the home library of any of this classic series’ fans. 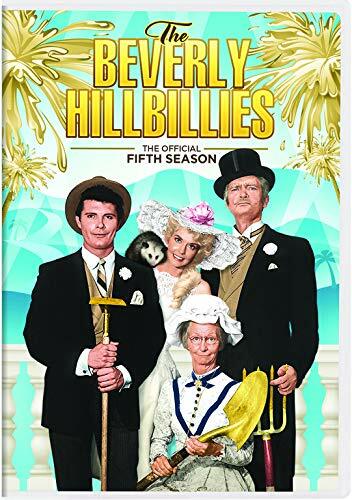 The first-ever release of The Beverly Hillbillies: The Official Fifth Season is a welcome addition to the home library of any of the classic series’ fans. That is even with the release being a bare-bones set lacking any bonus features. Even with that lack, it still proves a success overall. That is due in no small part to the work of the series’ writers, as is evidenced throughout the season’s 30-episode run. Right from the season’s outset, audiences get a nonstop laugh riot as Jethro tries to install a party line for Granny, so that she can be nosy. It’s obvious in watching this episode, that it played a distinct influence in so many telephone jokes used in another of series creator Paul Henning’s series, Green Acres. What makes this episode so entertaining is that it is still just as relevant today as it was way back in its debut on Sept. 14, 1966. Every neighborhood, whether rich or not, has that one person who is a busybody and thinks that he or she just has to be all up in everybody’s business except for their own. The result offers plenty of laughs. The season’s Christmas episode, “The Christmas Present” is another wonderful example of why the writers’ work is still deserving of kudos to this day. The Clampetts turn Christmas on its ear this time as they end up selling Mrs. Drysdale’s clothes; clothes that she was going to donate. Of course, the Clampetts don’t know that she was going to donate the clothes. Their whole purpose is to use the money to buy a present for her, so obviously, the comedy of errors (of sorts) that happens as a result offers its own share of laughs. “Super Hawg,” which comes late in the season’s run, is yet another fun, original offering from the series’ writers this season. This time out, the Clampetts discover a hippo for the first time and mistake it for a giant pig. Of course, it just so happens that it’s in the Drysdales’ back yard because they are using it for another of Mr. Drysdale’s many schemes. On a side note, one can’t help but think many of the same people who wrote for The Beverly Hillbillies must have written for Bewitched considering that Darrin’s boss, Larry Tate always had some scheme up his sleeve, and was very much like Mr. Drysdale in terms of his personality. Getting back on track, the episodes noted here are just a few examples of what makes this season’s writing so enjoyable. Even among the seemingly endless stream of stories centered on Granny trying to marry off Ellie May, Jethro trying to get a girl, and Jed having to play peacemaker in it all, there is still some originality this time. One could cite the laugh riot episodes, “The Flying Saucer,” (which played on the B-movies of the time, and was also very similar to a certain episode of another hit CBS show, Gomer Pyle, U.S.M.C.) “Jed in Politics” and “Granny Retires” as three more examples of that continued originality. When all of the episodes noted here are coupled with the rest of the season’s episodes, it becomes clear why the writers behind The Beverly Hillbillies deserve their own share of credit in this season. Of course their work is only some of the work that deserves praise. The cast’s work on screen deserves its own share of credit, too. The cast’s work on camera, even despite some of the recurring story lines, shows why the series continued to be a leader on television even five seasons in. Case in point here is Buddy Ebsen’s handling of Jed in ‘The Indians Are Coming.’ This episode, which came about halfway through Season Five, is one that clearly was so politically incorrect that there’s no way it would ever be on television today. The episode sees Granny concerned that Native Americans want to take over the Clampett’s land back in the Ozarks, when in reality the issue is just a minor land dispute. Jed, always having to play peace keeper, has to try to convince Granny that there is nothing to be concerned about. His straight-man persona, set against Granny’s manic, close-minded character, makes for one of those classic odd-couple performances that makes classic television in general so beloved. As the episode progresses, Mr. Drysdale, in his own uneducated mindset, dresses up as a Native American Chief to greet the two Native Americans who have come to Beverly Hills to discuss the land boundary issue. Raymond Bailey (Vertigo, Tarantula, Picnic) does a spectacular job here displaying how close-minded and uneducated Americans of European descent were about Native Americans and their culture. Sadly, many Americans are still somewhat uneducated and close-minded about Native Americans to this day. To that end, Drysdale’s presence in this moment is another of those moments that is just as relevant today as it was in its original presentation. A little earlier in the season’s run, a marketing scheme from Mr. Drysdale in “The Flying Saucer” leads to another outstanding performance from the series’ cast. This time, Drysdale has hired a group of height-challenged (is that the correct term to use?) Italians to pose as aliens for yet another of his marketing schemes to promote his band. Of course, being that the scheme is under wraps, Granny and Jethro (Irene Ryan – The Woman on the Beach, Petticoat Junction, Will You Stop! and Max Baer, Jr. – Macon County Line, The Wild McCullochs, Ode To Billy Joe) believe that the trio really is from another world. Baer’s reaction, taking his suitcase out to the front of the Clampett mansion, waiting to be “picked up” is another of those classic moments because he really believes that other aliens are on the way to Earth. Ryan’s take on Daisy/Grandma is equally entertaining as she is rather scared. Again, there is that contrast of personalities. The juxtaposition of Jethro and Granny’s reactions ensures audiences’ engagement, and again shows the continued talent of the series’ cast, give seasons into the show’s run. It’s just one more example of the cast’s talent this season. “Jed in Politics” is yet another example of that continued talent, as is “The Soup Contest” and “The Dahlia Feud.” Between all of these noted episodes and those not noted here, it is clear from the season’s premiere to its finale, that the cast offers audiences just as much to appreciate as the show’s writers. When the two elements are coupled, they form a solid foundation for The Beverly Hillbillies: The Official Fifth Season. When one takes into consideration this season’s average price point, it proves to be money well-spent. 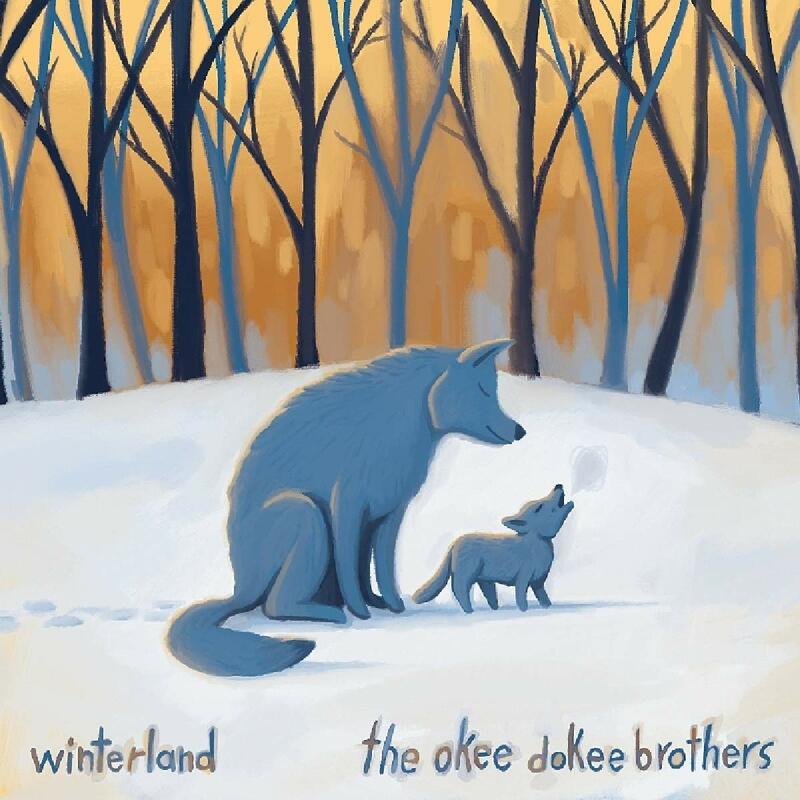 The wait is almost over for The Okee Dokee Brothers’ new album. The duo recently announced that it will release its fourth full-length studio recording Winterland on Oct. 5. The 16-song record takes listeners from the change of seasons from autumn to spring that the whole family will enjoy while curling up together at the fireside. Along with being a record for the whole family, the record also addresses the issue of climate change. The record’s full track listing is noted below. Ten percent of the album’s sales will go to benefit Askov Finlayson’s Keep The North Cold initiative. The company works to fight climate change by supporting other initiatives that slow factors such as greenhouse gas emissions. Ten percent of ticket sales at the pair’s Nov. 3 hometown show will also go to benefit the organization. The group will also donate ten percent of ticket sales at its Nov. 4 Denver, Colorado show to Protect Our Winters, which also works to combat human-caused climate change. Summer is officially over, but in many parts of the country, mother nature apparently seems to think otherwise, as temperatures are still reaching close to 90. To that end, thoughts of leaves falling, pumpkin spice and hot apple cider are still quite distant. 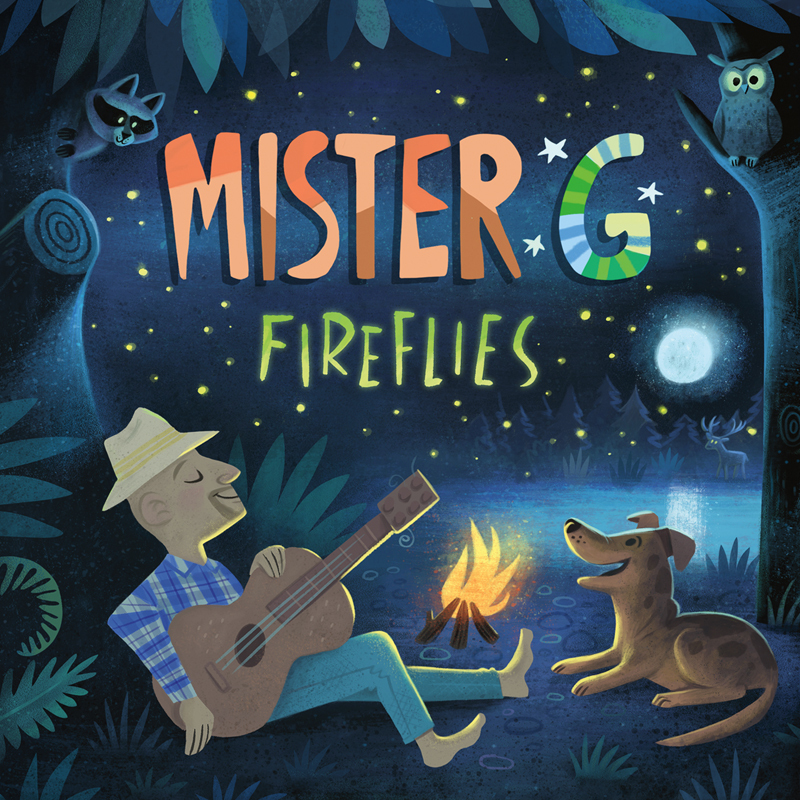 That makes Fireflies, the latest full-length studio recording from veteran children’s entertainer Mister G (a.k.a. Ben Gundersheimer) a timely release, with its lyrical themes that celebrate summer. Those lyrical themes are just one part of what makes this album another enjoyable offering from the Latin Grammy and four-time Parents’ Choice® Gold Award recipient. The record’s collective musical arrangements will appeal just as much to grown-ups as they will children. This will be discussed a little later on. The record’s sequencing rounds out its most important elements, and will also be discussed later. Each element is key in its own way to the whole of Fireflies. All things considered, they make Fireflies a record that shines just as bright as a firefly’s own light. Ben Gundersheim’s ninth full-length studio recording Fireflies is a record that is simple, both in its lyrical and musical content. That simplicity makes the record an appealing new effort from the veteran family entertainer. The simple lyrical themes celebrate the joys of summer camp. From the joys of making s’mores at the campfire in the aptly titled ‘S’mores’ to spending time with one’s favorite furry friend (obviously a dog) in ‘Four-Footed Friend’ to the light, bluesy celebration of summer that is ‘Sweet Summertime’ and beyond, this record celebrates the best time of the year in so many ways. Even the album’s opener and title track is its own celebration as it presents that equally simple and beautiful memory of one’s most memorable summer, catching fireflies, going to camp and just being with friends and loved ones. It is a wonderful start to the record, and one more way in which that general theme of summer presents itself here. Of course, for all of the celebrations of summer that are presented here, that overlaying lyrical theme is not the only important theme that is presented. Gundersheimer also tackles the issue of racial equality in the old-school country-style song ‘Together as One’ and learning as one grows in ‘Crawl.’ ‘Big Old World,’ meanwhile, serves as a reminder to the world that mankind must take care of Mother Earth. Mister G’s delivery of that message is just as simple and easy here as is his delivery of his other messages. When one considers this along with the simplicity of the themes themselves, one sees why the record’s musical themes are so important to Fireflies’ whole. That simplicity (and in turn accessibility) is just one part of what makes Fireflies an enjoyable new offering from Mister G. The record’s equally simple musical arrangements do just as much as the lyrical themes to make it enjoyable. The musical arrangements presented throughout Fireflies are, as noted, just as simple as the record’s lyrical themes. This simplicity adds even more to the album’s accessibility and appeal. From compositions that lend themselves to comparisons to Ben Harper’s best works to more country music-oriented works, all ten arrangements exhibited in this record are simple in their presentations. Case in point is the classic country styling of ‘Together As One.’ The two-chord guitar line and the twang of the steel pedal and violin conjure thoughts of the greatest works from Johnny Cash, Patsy Cline and Hank Williams Sr. just to name a few similar acts. This is a styling that is sadly missing in today’s country music world, so it’s nice to hear it featured here. ‘Sweet Summertime,’ with its bluesy arrangement lends itself –to a point – to comparisons to Booker T & The M.G.s’ hit single ‘Green Onions.’ The similarity in the songs is not exact, but a close listen reveals that similarity. Again, each song is so simple in its approach, and because of that simplicity, find themselves appealing to plenty of audiences. That simplicity is just as evident in the arrangement of ‘Crawl’ as in ‘Sweet Summertime’ and ‘Together As One.’ This is one of those songs that lends itself to comparisons to Ben Harper’s best works. Anyone familiar with Harper’s work will agree. To say that this is a good thing is an understatement. It’s not the last of the simple arrangements presented across the record. The seven other songs not noted here are just as simple as the works discussed here. Keeping that in mind, the overall simplicity in the album’s arrangements goes a long way toward Fireflies’ overall presentation. When it is considered along with the simplicity in the album’s lyrical themes, the two elements collectively do plenty to make the record enjoyable for every listener. While the simplicity of the album’s collective lyrical and musical content goes a long way toward making it enjoyable for listeners of all ages, that simplicity is not all that makes the record so widely appealing. Its sequencing offers its own share of interest for listeners. From start to end, Fireflies’ sequencing proves just as crucial to its presentation as the simplicity in its music and lyrics because of the balance in the songs’ energies. The record starts off slow and gentle in its title track before barely increasing the energy exuded in that song in the next two songs, ‘Sweet Summertime’ and ‘Me And You.’ The record’s energy picks up just a little bit more in the classic country-style ‘Big Old World’ before pulling back immediately afterward in ‘Four-Footed Friend.’ That gentility lasts only briefly through that song and ‘Crawl’ before it picks back up again ever so slightly in ‘Together As One.’ The album’s energy pulls back again to that familiar laid back, Ben Harper-esque vibe from there as the album gently makes its way to its finale. Simply put, from beginning to end, the energy in the record’s presentation never gets too much or too little at any given point. Rather, it is expertly balanced all the way through. When the time and thought put into keeping the record’s energy stable from beginning to end is considered along with the impact of the simplicity in the album’s music and lyrics, the whole proves to be a record that shines just as bright as a firefly. Late next month, up-and-coming singer-songwriter Max Ater will release his sophomore EP Small Town to the masses. Planned for release via indie record label Prudential Records – which also lists the likes of Puddle of Mud, Flotsam and Jetsam and Dark New Day among its artists – the five song EP is an interesting new effort that, given the right support, could go a long way toward helping the Maine native become a mainstream pop star. This is proven in part through the album’s musical arrangements, which will be discussed shortly. The album’s lyrical themes do just as much to support that statement as its musical arrangements. They will be discussed a little bit later. The album’s sequencing rounds out its most important elements. It will also be examined later. Each element is important in its own right to the whole of Small Town. All things considered, they make Small Town a big success for Max Ater. Max Ater’s forthcoming sophomore EP Small Town is a record that could, with the right support, make this up-and-coming pop-country singer-songwriter a big mainstream hit. That is due in part to the musical arrangements presented throughout the five-song studio recording. All five arrangements are just as radio ready as anything currently being churned out by his more well-known mainstream counterparts. Case in point is the record’s opener and title track, which is a light, poppy tune that expertly walks the line between pop and country, almost blurring it in the process. At times, it conjures thoughts of Darius Rucker because of that ability to cross that line. At others, it lends itself slightly to works from Kenny Chesney while also lending itself just as easily to so many current Top 40 pop hits. ‘Easy,’ the record’s lead single, is even more pop-centered than the record’s opener with its electronics, piano lead and driving choruses. Solely in regards to this arrangement, it is an easy fit for any Top 40 station. ‘Summer Next To You,’ is one of the EP’s most blatantly country-esque composition. It lends itself easily to comparisons with Jake Owen, Brantley Gilbert and other similar acts. Much the same can be said of the record’s finale, ‘Light Up This Town.’ ‘Stay A Little Longer,’ the EP’s mid-point walks that line, too, though it leans more in the country vein than the pop side. Keeping in mind, the fact that these arrangements so easily lend themselves to Top 40 pop radio just as much as mainstream Country radio, there’s no denying that the arrangements alone show the big potential of Small Town. Of course the records musical arrangements are, collectively, just one part of what makes Small Town stand out. The EP’s lyrical themes are just as important to note in examining the record as its musical arrangements. The lyrical themes presented in Small Town’s songs are relatively basic, and in turn are certain to appeal to a wide range of audiences. Simply put, the disc’s themes focus on the theme of romantic relationships. It’s that easy. The record’s opener is one of those songs that is about love found. That is obvious as Ater sings in the lead verse, “Standing on the front porch/Through the screen door/There’s you/There in the red dress…Good to see you, too/I’ve been waiting on a night like this/For so long/Put you in the front seat/Drive to the good beat/of your favorite song/tell me what you’re feeling/I wanna start healing/From a week gone long/I’ve been waiting for a night like this/For so long.” This is a man who is letting his woman know how much he appreciates her. Keeping that in mind, it’s sure to resonate with plenty of female listeners. It goes on like this from there on, with Ater singing about wanting to kiss said woman and just be wither. Again, this is certain to appeal easily to such a wide range of listeners. It is a surprise that it hasn’t already resonated with any major Top 40 stations. Moving on, ‘Summer Next To You’ is a more deeply emotional piece that comes across as a song of love lost. That is inferred as Ater sings, “We were driving 95/Watching the world roll by…./When you turned to me with your crying eyes/Tell me baby, do you really realize/These are the last days of us?” It’s the polar opposite of the record’s opener. Luckily, it is about as emotional as the EP gets over the course of its 17 minute run time. ‘Light Up This Town’ and ‘Stay A Little Longer’ are more upbeat both musically and lyrically. Keeping that in mind, the songs’ largely positive lyrical vibe, balanced with the one more emotional and contemplative moment (alongside ‘Easy’) give the EP overall even more mainstream accessibility. Add that to the accessibility of the record’s musical arrangements, and again, listeners get a record that has every reason to be considered by any mainstream Top 40 and country music station. The EP’s musical and lyrical content are only part of what makes it appealing. The record’s sequencing joins those elements to show even more what makes the record radio ready. The overall sequencing of Small Town speaks volumes in itself about Max Ater’s new EP. It starts off on an upbeat note (no pun intended) before immediately pulling back in ‘Easy.’ The record’s energy picks back up just as quickly in ‘Stay A Little Longer’ before pulling back once more in ‘Summer Next To You.’ As the record reaches its finale, the energy picks right back up again. Simply put, the energy is balanced expertly from start to finish. It is never too reserved and never too upbeat for too long. It shows that plenty of thought and time was put into the record’s sequencing. 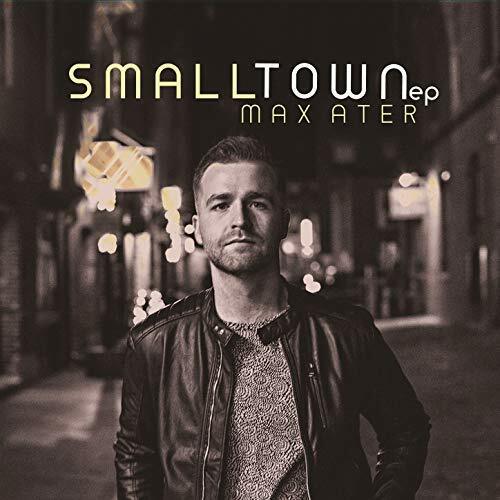 When this is considered along with the obvious time and effort put into the record’s musical arrangements, and the accessibility of the record’s lyrical themes, the result is a record that proves Small Town could be a big success for Max Ater. Almost one year from now, iconic television figure Fred Rogers will have his life story told….sort of….in a new biopic from Big Beach Films and Tristar Pictures. The movie will star legendary screen actor Tom Hanks in Rogers’ signature red cardigan sweater and sneakers. Of course while this seems all good and fine, everybody knows that far too often, biopics are overly embellished with some falsehoods. Keeping that in mind, so many more accurate documentations of Rogers’ life and career have already been released that have proven far more worth audiences’ time. 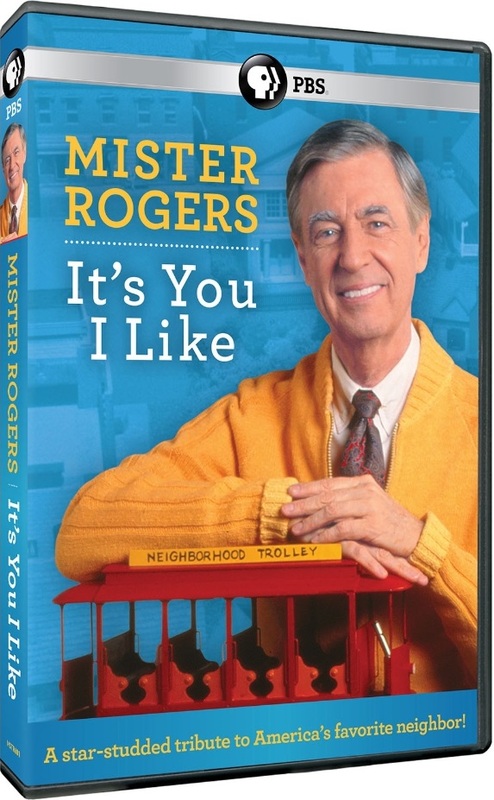 One of the most recent of those more worthwhile presentations is PBS’ latest Fred Rogers doc, It’s You I Like. Having originally aired on PBS stations nationwide March 8, the hour-long program will be released on DVD Oct. 2. Not to be confused with Universal Pictures’ equally popular big-screen Fred Rogers doc Won’t You Be My Neighbor, this program is not the first toe be released from PBS, but is still an enjoyable look at Rogers’ life and career. That is due in no small part to the story at the center of the doc. This will be discussed shortly. The program’s transitions, by connection, are just as important to examine as the story. They will be discussed a little bit later. The footage, pictures and interviews used to help tell the story round out its most important elements. Each element is important in its own right to the whole of It’s You I Like. All things considered, they make It’s You I Like another welcome look at Fred Rogers’ life and career. PBS’ latest profile of Fred Rogers, It’s You I Like, is another welcome look at the life and career of one of television’s most iconic figures. The network’s first profile of Rogers since 2011’s Mister Rogers & Me, it is a good companion to that profile. That is due in part to the program’s central story, which discusses what made – and makes – him so respected and beloved to this very day. It presents – as with so many other previously released docs – a man who was genuine in how he addressed tough topics, such as death, divorce and even where babies come from and who was just as genuine off camera as he was on camera. Audiences also learn through the program that apparently, Mister Rogers had quite a sense of humor, and not in a bad way, either. The story is told partially through interviews with celebrities, such as John Lithgow, Judd Apatow and Sarah Silverman, as they discuss Mister Rogers’ influence on them as they watch vintage clips of Mister Rogers’ Neighborhood. Veteran actor Michael Keaton, who got his start in show business on the long-running series, serves as the program’s host, and adds his own stories of life on set and of Fred Rogers, the man behind the camera. The whole thing uses music, fittingly, as the foundation for the presentation. The focus on music here is fitting because, as noted at one point in the program, it is noted that Rogers earned a degree in music composition in college. Again, this is not the first time that this has been noted in a documentary on Rogers’ life and career, but maybe not everyone knew this. To that end, it is a good addition to the program, as it explains why there is such a heavy emphasis on music throughout this story. Considering all of this in mind, many audiences will find the story at the center of It’s You I Like familiar. For those who might be less familiar with Rogers’ life and career, it is a good brief, but concise introduction. To that end, this presentation will appeal, at least in terms of its story, more to audiences less familiar with Rogers’ life and career than those who have seen the other Fred Rogers docs that have been released already. Staying on that note of the story’s familiarity, the story’s transitions are just as important to its presentation as the story itself. The story’s transitions are of note because they are so smooth. What is really of note is that Rogers’ beloved “picture-picture” is largely the source of those transitions. At many points, the story will go from the final scene of one chapter to a slow zoom out of the picture frame and back in at the end of Keaton’s segments. At other times, the transitions are more basic, going from the final moment of a given chapter to a fade or a smooth cut back to the old set of Mister Rogers’ Neighborhood. Regardless of the transitions, it can be said that each one keeps the story progressing so smoothly from one segment to the next, ensuring that viewers will never be lost. Getting back to the doc’s story, this means that, again, audiences less familiar with Mister Rogers’ life and career are that much more apt to remain engaged and entertained throughout the program. When the two elements are coupled, they show even more why those noted audiences will enjoy this presentation as their first exposure to the man who was more than just a television figure, but one of America’s most important figures on and off camera. Having noted all of this, the actual material used to tell the documentary’s story rounds out the most important elements of It’s You I Like. The material used to tell the story of It’s Your I Like is as familiar as the story itself for most audiences, and just as fresh, again, for those less familiar with his story. Audiences are presented here with footage and pictures of Mister Rogers on the set of his show, as well as interviews with various celebrities to tell the story. The footage includes moments, such as Rogers joking with fellow cast mates David Newell (Mr. McFeely), Francois Clemmons (Officer Clemmons) and crew members as well as footage of Rogers interviewing stars, such as Yo-Yo Ma (and his son), Wynton Marsalis and Margaret Hamilton (The Wizard of Oz) at various points throughout. The pictures featured across the program were taken from the days when the show was still running. There are candid pictures featuring Rogers and the show’s cast and crew, a picture of Mister Rogers with the one and only Big Bird (from Sesame Street) included in the discussion of Big Bird crossing over into the “Land of Make Believe” and even pictures of Rogers in his youth. Between those pictures and others, audiences get a wonderfully rich picture of the show from its birth to its end. Meanwhile the interviews with Rogers’ widow and the previously noted celebrities serve to illustrate even more the legacy and impact of the man who was Mister Rogers. When those interviews, pictures and footage all come together to tell the story of a man who truly did like everyone, the end result is a documentary that those just starting to learn about Mister Rogers will enjoy. P.O.D. is giving audiences another preview of its new album. The debuted the title track from its forthcoming album Circles on Thursday. The song is the second single to be released from the record, which is currently scheduled to be released Nov. 18 via Mascot Label Group. The record’s lead single ‘Rockin’ With The Best‘ debuted Sept. 7. Its companion video followed only five days later on Sept. 12. In regards to its lyrical theme, ‘Circles’ tackles the topic of prescription drug abuse, according to the band. Front man Sonny Sandoval said in an interview that its musical arrangement will appeal to a wide range of audiences. Circles is P.O.D.’s 10th full-length studio recording, and the band’s first record for Mascot Label Group. It is the band’s first record of new material since the band’s 2015 album The Awakening. Front man Sonny Sandoval said in a written statement that the band’s approach to its new record was inclusive. The album’s full track listing is noted below. Artillery will return this fall. The band announced Wednesday that it will release its ninth studio recording Nov. 16. in the form of The Face of Fear. Set to be released via Metal Blade Records, the record is the fifth from the band to be produced by Soren Andersen at Medley Studios. It will come almost three years after the release of its 2016 record Penalty By Perception. Andersen had high praise for the new album. Lyrically speaking, the band’s new album will be familiar for most audiences. According to a news release about the record, it touches on topics, such as mankind’s current path, double-standards, and abuse. The Face of Fear will be available on limited edition digipack with two bonus tracks, 180-gram black vinyl and four separate limited edition colored vinyl pressings. Their details are noted below. 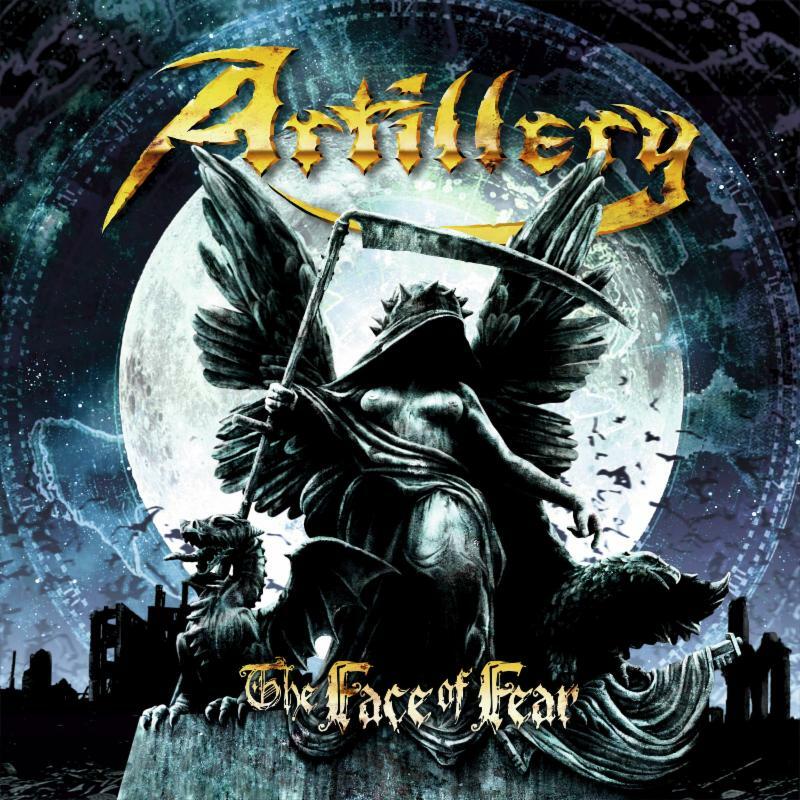 In anticipation of The Face of Fear‘s release, Artillery has debuted the video for the record’s title track, which is also the album’s lead single. That video is streaming online now here. After checking out the video, audiences can pre-order the album at the same site. The band explained the video’s presentation, explaining it was directed by a familiar face and dealt lyrically, with a very heavy subject. The album’s whole track listing is noted below.